First published in 1935, Pilgrims of the Wild is Grey Owl’s autobiographical account of his transition from successful trapper to preservationist. With his Iroquois wife, Anahereo, Grey Owl set out to protect the environment and the endangered beaver. Powerful in its simplicity, Pilgrims of the Wild tells the story of Grey Owl’s life of happy cohabitation with the wild creatures of nature and the healing powers of what he referred to as "the great Northland" of "Over the Hills and Far Away." Grey Owl (or Wa-sha-quon-asin, from the Ojibwe wenjiganooshiinh, meaning "great horned owl" or "great grey owl") was the name Archibald Belaney (September 18, 1888 – April 13, 1938) chose for himself when he took on a First Nations identity as an adult. Born in England as Archibald Stansfeld Belaney, and migrating to Canada in the first decade of the 20th century, he rose to prominence as a notable author, lecturer, and one of the "most effective apostles of the wilderness". In his studies of the Ojibwe, Belaney learned some native harvesting techniques and trapping skills. The pivotal moment of departure for Grey Owl's early conservation work was when he began his relationship with a young Iroquois girl named Gertrude Bernard, who assisted in his transition from trapper to conservationist. 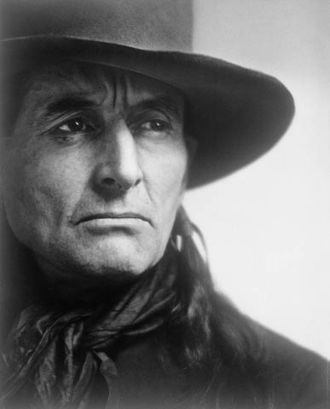 In working with the National Parks Branch, Grey Owl gained recognition and fame in his early career as a conservationist, becoming the subject of many films, and being established as the “‘caretaker of park animals’ at Riding Mountain National Park in Manitoba” in 1931. Together with his numerous articles, books, films and lectures, his views on conservation reached audiences beyond the borders of Canada, challenging people to re-evaluate their relationship with nature. His conservation views largely focused on humans' negative impact on nature through their commodification of nature's resources for profits, and a need for humans to develop a respect for the natural world.--Wikipedia. Epub 20141061.epub If you cannot open a .mobi file on your mobile device, please use .epub with an appropriate eReader. Mobi/Kindle 20141061.mobi Not all Kindles or Kindle apps open all .mobi files.